I have a 1975 corvette stingray coupe L82 with 350 an a 400 auto trans. Car will hold and idle at around 900 to 1200 but when you put it into gear it makes a clunking noise and then stalls. It will drop idle to around 500 in gear but stalls unless you feather the pedal. I think the clunking is because it goes from a high rpm to a low rpm and it clunks and jumps. I have turned both screws in all the way then turned them both out about a 3 1/2 turns that got it to idle. I want to rebuild the carb, got the kit, but want to get it to run so I can drive it to a carb specialist. Another problem is the person who had it before me. I have only had it since oct. He used locktight on the nut for the gas filter. 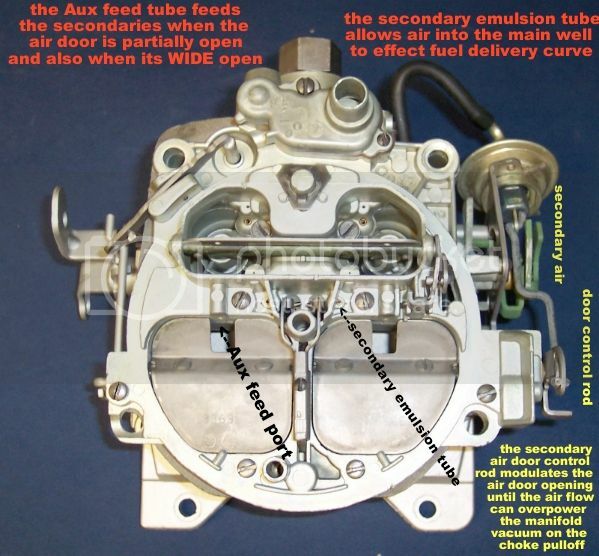 I can not get the carb off without cutting the line or taking it off from the fuel pump. If anyone got an idea how to desolve lock tight let me know. I used to drag race so I know cars, but this is my first vette. I always wanted a 75 c3 with t tops and when I got bad news from the doctor I bought this one. Had to get an auto so wife could drive it also. I would rather of had a 4 speed. Any help would be greatly appreciated. a decent 1" wrench to hold the filter nut in place..
START by TIGHTENING the tube nut.. this busts it from its frozen spot. then loosen it. other thing.. order a new prebent fuel line from either a corvette supplier or someplace like classic industries or OPGI..
please check your power brake booster for vacuum leaks... there have been a LOT of them failing and that leak will drive you crazy..
with a 75 corvette you could have one of 2 possible quadrajets.. a 4MC or an M4MC.. the M4MC has a lump on the right front top.. and a plug to access the APT screw..
do me a favor.. pick up an inline fuel filter for something like a 1990 ford ranger pickup.. there is another part number with 9 mm inlets and several with 10MM inlets and outlet .. but these are for fuel injection systems. replace the fuel hose between the frame rail and the fuel pump inlet.. but use extra and put a LOOP into it.. install the fuel injection type of filter directly before your mechanical fuel pump.. this will protect the fuel pump check valves from any sediment that will hold the check valves open and can also hold the needle and seat open dribbling fuel uncontrolled into the engine. 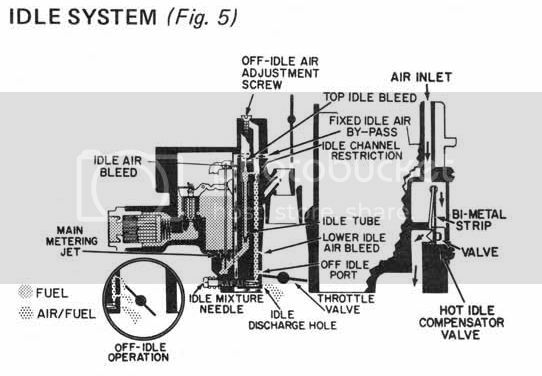 once clean fuel gets all the way thru the fuel pump.. and blows out any debris.. it will also stop the fired up.. dies and needs to crank 2 minutes while pumping to get the engine started again.. fuel can drain all the way back to the fuel tank..
Let me see if I got this right. Are you saying that it is dirty gas in fuel system. So I have to clean all bad gas out, cange the line and put a filter in before it gets to the fuel pump. Is that why it it only has a high idle speed and a normal idle speed cause it to stall when put into gear. I will do all that you told me. I do not know what carb it has no lable on the carb. I can send a pic if I have an email to send it to. What is the purpose for the loop in the line is that for vapor barrier or if any sediment it will not reach carb through the fuel pump. Why am i getting a hard clunk when I do shift from part to f or r at the high rpm I have to keep it at so it does not stall. This car did sit in a barn for along time. It can be a dirty fuel system. When I do drive it it shifted perfect no jerking or anyghing. And sorry for all the dumb questions... getting warmer got insurance and plates and what to drive it.. while I work on it. 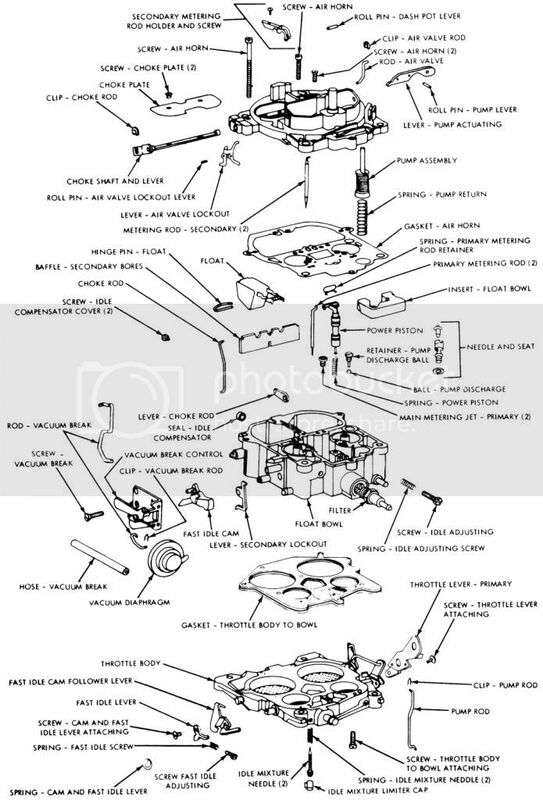 Are you saying that it is dirty gas in fuel system. So I have to clean all bad gas out, cange the line and put a filter in before it gets to the fuel pump. Is that why it it only has a high idle speed and a normal idle speed cause it to stall when put into gear. I will do all that you told me. I do not know what carb it has no lable on the carb. I can send a pic if I have an email to send it to. What is the purpose for the loop in the line is that for vapor barrier or if any sediment it will not reach carb through the fuel pump. Why am i getting a hard clunk when I do shift from part to f or r at the high rpm I have to keep it at so it does not stall. This car did sit in a barn for along time. It can be a dirty fuel system. When I do drive it it shifted perfect no jerking or anyghing. the loop in the fuel HOSE from the side of the frame rail next to the motor... is so you can install the fuel filter in the narrow area.. after you have changed the RUBBER fuel hose here.. this prevents binding..
by the way... with the air cleaner off. does your model have a secondary choke pull off??? 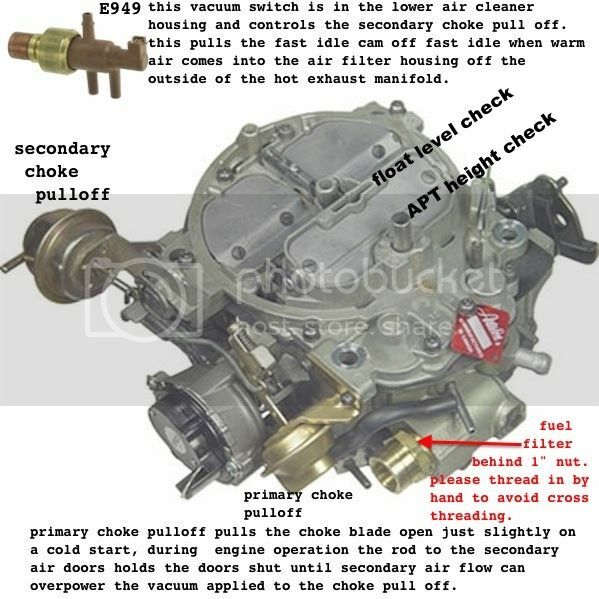 is there a spring on the pull rod of the primary choke pull off..
the secondary choke pull off yanks the fast idle cam down when the air temp in the air filter can reaches around 90 degrees... without the secondary choke pull off working properly.. the fast idle cam can stay engaged and keep the idle speed up..
the primary choke pull off may also have a spring on it that keeps the choke blade closed.. if the primary choke pull off has a blown diaphragm.. it may leave you with fast idle also..